I have two kids who love Minecraft. If they're not playing it they are watching it, mostly with a mode just like this. They spend hours building these maps, but now MS, Mojang, and 4J Studios are making it much easier for them it seems. 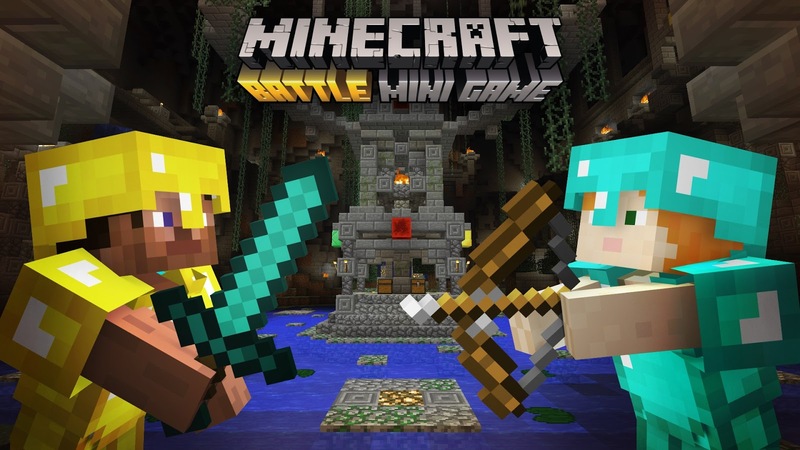 Battles are coming to Minecraft this June, a mode where players use randomly generated items found in chests around a specially designed map, with them left to fight it out until only one is left standing. You can play this mode both locally via four player split-screen, or up to 8 players online via Xbox Live. The first maps for this mode will be free via a June update and include three maps to try it out, with more map packs being released later down the line costing $2.99, which is just over £2.00 here in the UK. No trailer just yet, but check out the lovely Ellen from the Xbox On team who has already played it the lucky bugger.